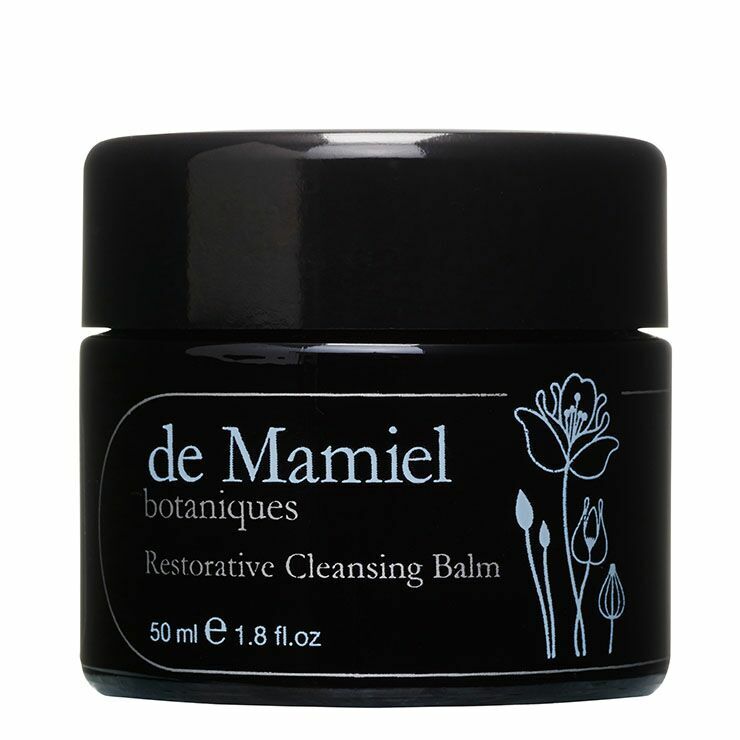 de Mamiel's Restorative Cleansing Balm turns a beauty basic into an aromatic ritual. 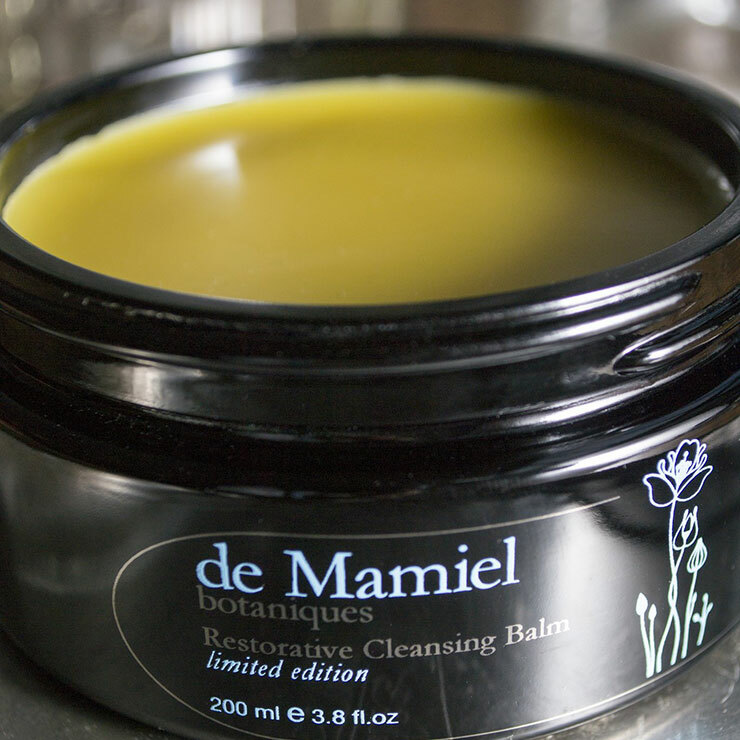 Stop, pause and enjoy the simple task of cleansing your skin with this rich balm. Made with ingredients that offer feelings of mood enhancement, while making skin look healthy and refined, including mango, camellia, calendula, moringa and kukui nut oils. A bespoke blend of essential oils ease feelings of stress and tension. Melt a small amount of this aromatherapy sleep aid between your palms and massage onto face and neck in circular, upward motions. To cleanse skin, press a warm damp face cloth into skin and hold. Gently wipe away. This is one of my favorite skin care products ever. It is soothing on my skin and smells heavenly.